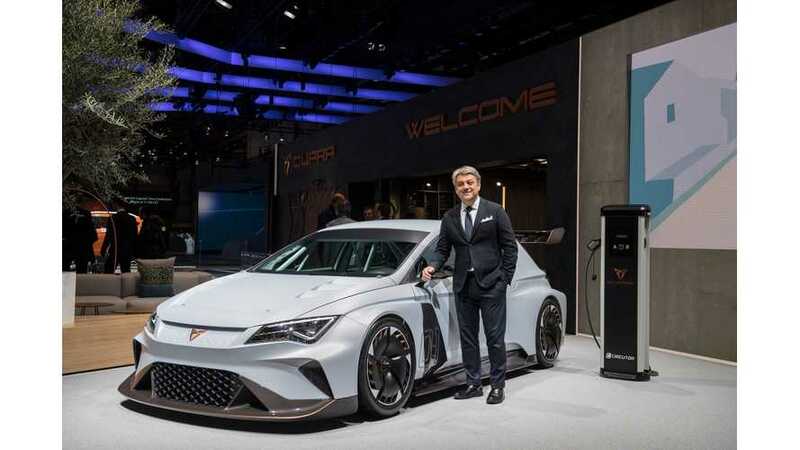 Seat is building a new Cupra brand and one of the ways it has chosen to promote it is by showing off an all-electric racing car called the Cupra e-Racer in Geneva. After spending some 20,000 work hours on it, the result is an impressive electric car that looks sweet and has the performance to back its style. 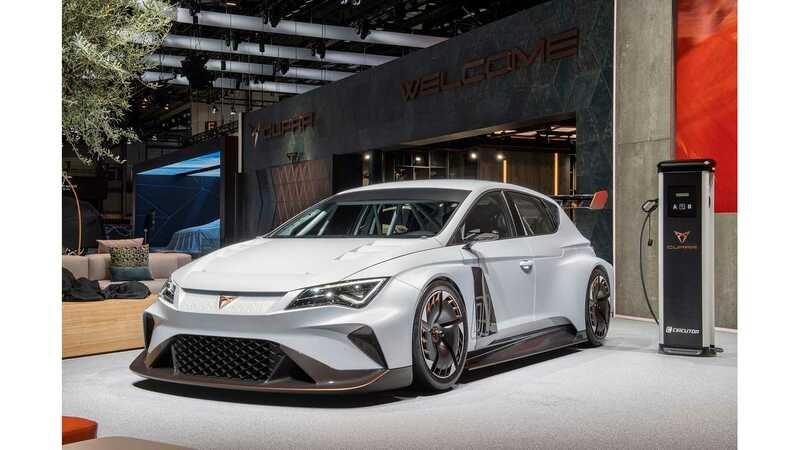 The Spanish brand (part of Volkswagen Group) put four electric motors in the back for rear-wheel drive with torque vectoring (two motors per wheel, it seems). With 500 kW of peak power, Cupra e-Racer does 0-62 mph (100 km/h) in just 3.2 seconds. There is not much info on the batteries, though we do know Cupra is using 6,072 cylindrical cells, so we believe that's at least 40-50 kWh. 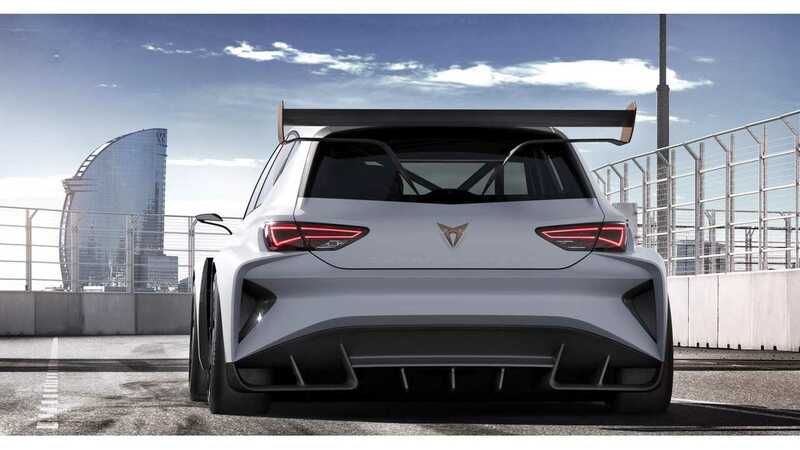 Later this year, the e-Racer will be shown at some other events, while next year maybe there will be a Cupra all-electric racing series - depending on interest. Just as it could be no other way, CUPRA is also going to go racing. CUPRA will take on all the responsibilities and work that until now were carried out by SEAT Sport. 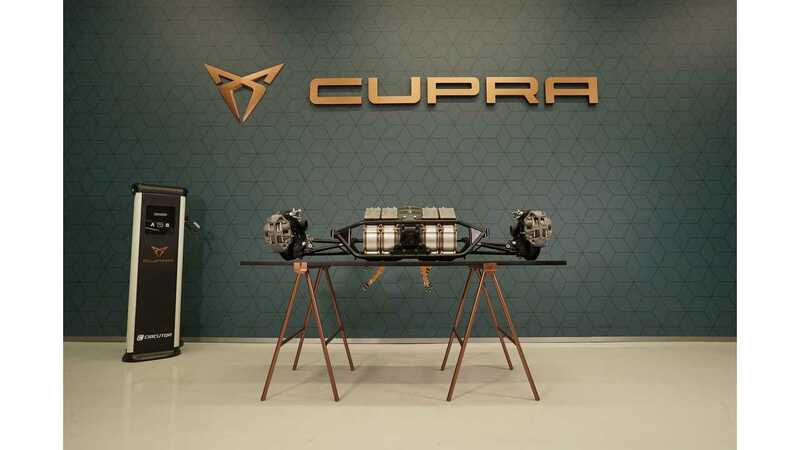 CUPRA will inherit SEAT’s involvement in the world of motorsport that has lasted for more than 40 years but, at the same time, it is conscious that the future of racing will move onto alternative powertrain systems. CUPRA’s objective is to pave the way and lead the change towards efficient and clean racing. 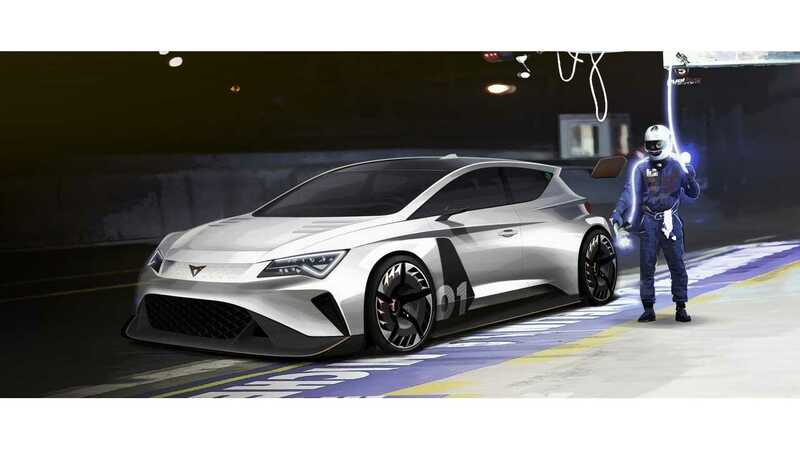 The CUPRA e-Racer is a 100% electric racing car based on the petrol-powered Cup Racer. On top of being much cleaner and more environmentally friendly, the CUPRA e-Racer is much quieter; it has some impressive performance, even more than a traditional racing car. And the best thing is that it has many other advantages. To begin with, an electric motor is much simpler, requiring much less maintenance and above all, it is more efficient as it practically uses all of the supplied energy, while a combustion engine only uses, in the best case scenario, up to 30% of its fuel energy. Additionally, kinetic energy is harnessed to recover power under braking and in deceleration phases. As if that weren’t enough, acceleration is much better as an electric car has its maximum torque available from the moment the accelerator is pressed; no longer is it necessary to reach a certain level of revolutions per minute in order to achieve maximum performance. For the same reason, a gearbox is no longer necessary. 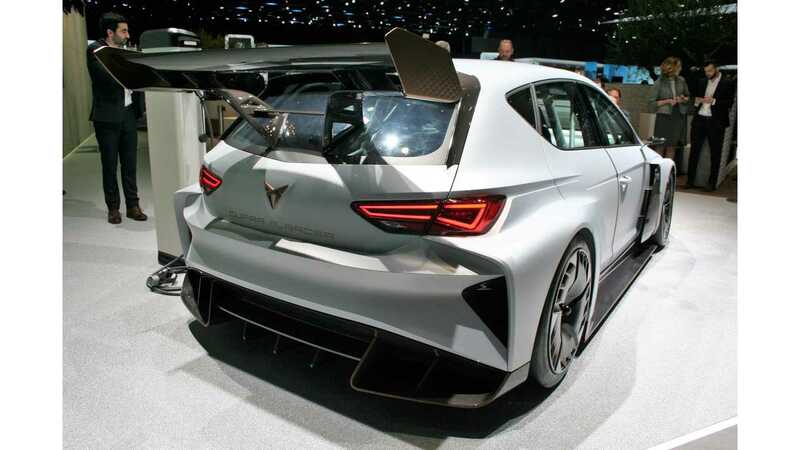 The new CUPRA e-Racer, brand’s first fully electric racing model, reaches 100 km/h in 3.2 seconds, clocks a top speed of over 270 km/h and its engine exceeds 12,000 revs. It is a racing car that works on batteries, but has the power of a vehicle fuelled with petrol: 1) A car with 6,072 battery cells: The battery on this electric car has the same power as the ones on 9,000 mobile phones connected at the same time. Its energy source consists in a total of 23 panels, each with 264 cells, and it takes 40 minutes to completely recharge. 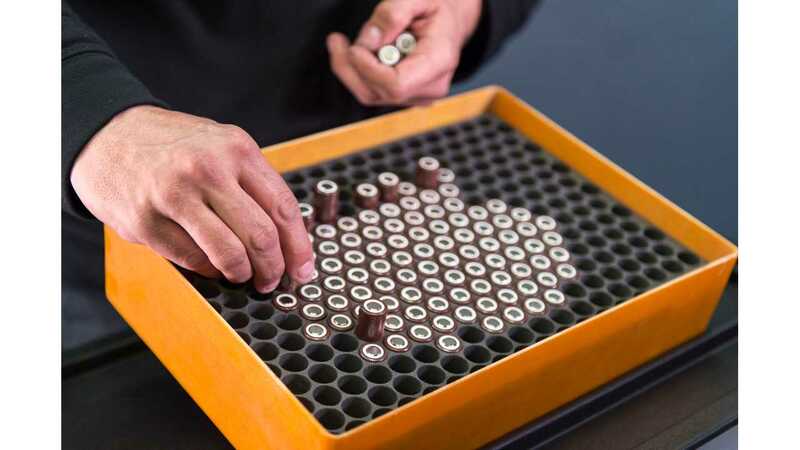 2) A battery that weighs half a tonne: At 450 kilos, it represents a third of the car’s entire weight. For this reason, “its positioning was one of the biggest challenges we had to face”, says Xavier Serra, the technical director of this project. It is so big and heavy that we had to distribute its volume throughout the lower part of the car to maintain its balance and functionality. 3) Four engines on this car: “One of this vehicle’s most surprising aspects has to be its power”, affirms Xavier Serra. 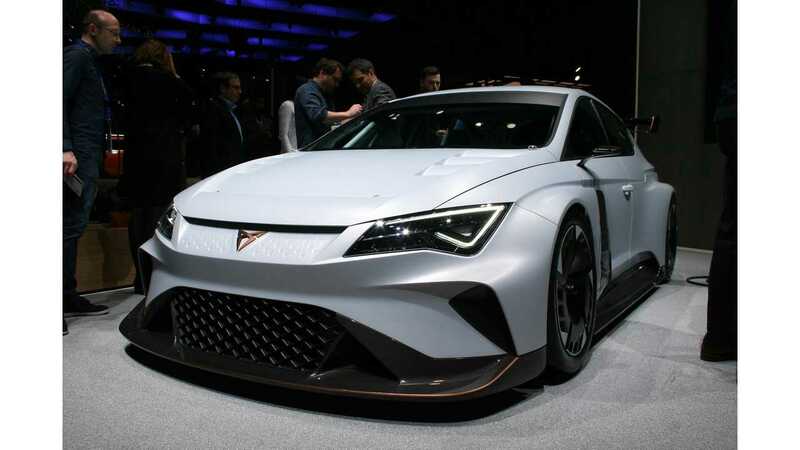 This model is equipped with four engines, located at the rear, enabling “the CUPRA e-Racer to reach 12,000 revolutions, compared to the 6,500 of a petrol powered race car, and all with a single gear”, Serra confirms. 4) A winning design: “The main goal was to improve aerodynamics”. For this reason, the door mirrors were replaced with mini cameras, “to make the car more dynamic”, adds Serra. The driver can see everything that is happening around him on a large screen built into the dashboard. 5) A mosquito on the asphalt: Serra affirms that the feeling at the wheel is different to that of a petrol powered car and the first thing that strikes you is “its acceleration”. The sound this vehicle makes is also something new: “Unlike a conventional car, this electric model makes a humming noise similar to a mosquito”. 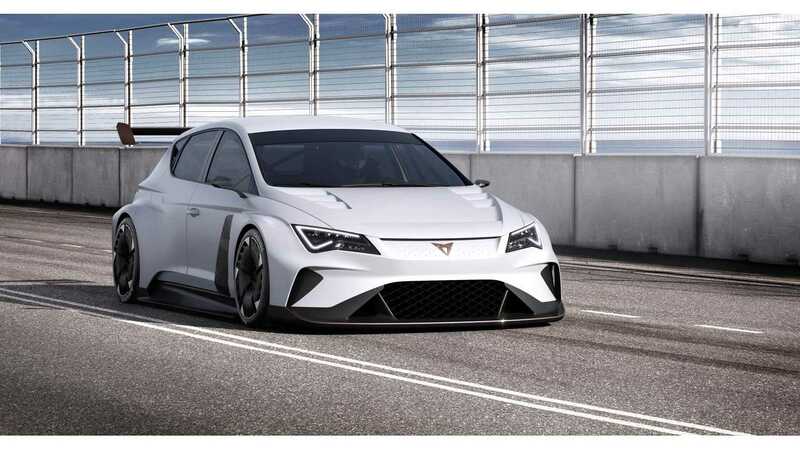 6) From a traditional Leon to a race car: The new CUPRA e-Racer model was built on the chassis of the SEAT Leon. The structure was enhanced with safety elements such as an interior roll bar to make it suitable for competing.